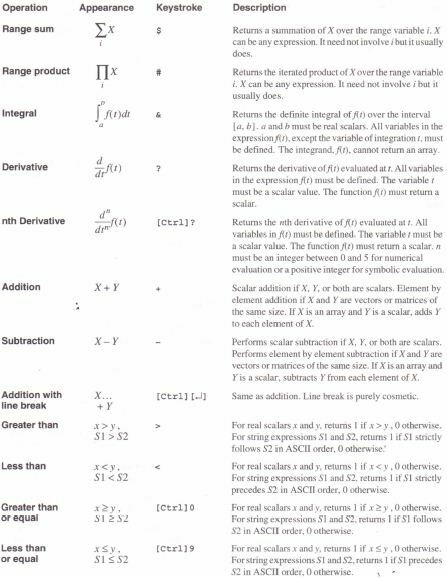 Mathcad includes ordinary operators like + and /, matrix operators like transpose and determinant, and special operators like iterated sum, iterated product, integrals, and derivatives. 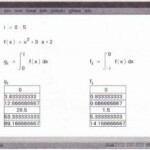 This chapter contains a list of Mathcad operators and describes how to enter and use the special operators. 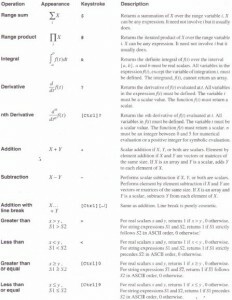 List of Mathcad’s operators in order of precedence. 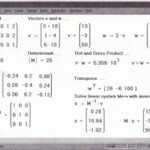 How to use Mathcad’s summation and product operators. 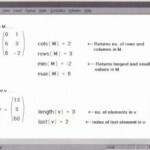 How to use Mathcad’s derivative operators. 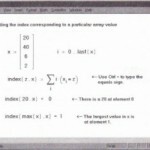 How to use Mathcad’s definite integral operator. How to define your own operators just the way you define your own functions. • A and B represent arrays, either vector or matrix. 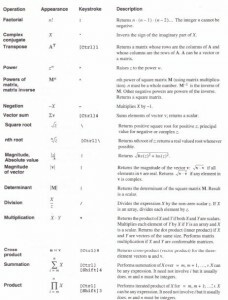 • u and v represent vectors with real or complex elements. • M represents a square matrix. 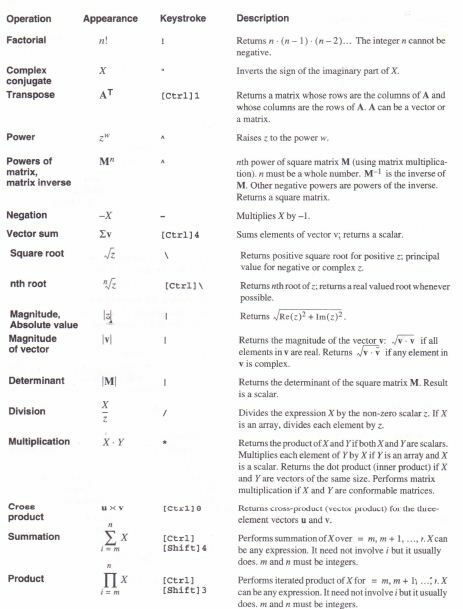 • z and w represent real or complex numbers. •x and y represent real numbers. 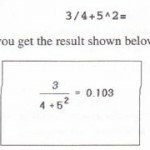 • m and n represent integers. • i represents a range variable. • S and any names beginning with S represent string expressions. • t represents any variable name. • f represents a function. • X and Y represent variables or expressions of any type. You can avoid having to remember the keystrokes that go with each operator by using the operator palettes. To open the operator palettes, click on the buttons on the Math Palette. Each button opens a palette of operators grouped loosely by function. The icons on the operator palette buttons indicate what operator appears when you click on that button. You can also hold the mouse pointer momentarily over a button to see a tool tip indicating what the button does. To type any operator from the table on the previous pages, just click wherever you want to put the operator, then click on its button on the appropriate operator palette. In general, operator palettes only work in math regions. To use the operator palettes in text, you must first click in the text and choose Math Region from the Insert menu. This ,will create a math placeholder in the text into which you can insert operators using the palettes.